It can be hard for a woodshop to keep current with bits and blades. New geometry, coatings, profiles and even carbide compounds keep shaking up the industry. Making cleaner cuts is obviously the biggest concern, but speed (well, resistance to heat build-up at high speed) and longevity in cutters are also on the list. 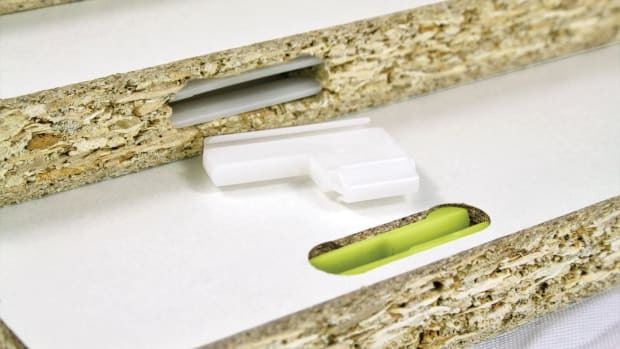 And because more than half the casework being delivered now is made with materials other than hardwood, being able to machine plastics and a host of substrates is also an issue. Amana Tool’s new 46167 Spektra brand compression spiral bit hits on all of those topics. In keeping with a trend toward more intense and durable coatings, it is designed to deliver a significantly longer lifetime in abrasive material such as MDF or laminates, and even double-sided melamine. In May, the company (amanatool.com) announced an expansion of its Spektra coated solid carbide O-flute bits for plastics. These CNC bits have a nanocomposite coating with extreme hardness and heat resistance. They’re easy to recognize with distinctive coloring, and while that goes away after a while, the coating remains fully effective. The bits have a hardness rating of about 4,500 Vickers (two and a half times that of uncoated bits), and they’re designed for use on acrylic and other plastics. Amana has also introduced a couple of heavy-duty spoil-board inserts, the 3-11/32” diameter RC-2259 and the 2” diameter RC-2255. Beyond planing a spoil-board, they can also be used to chamfer edges and even surface and finish timber slabs. The 2259 has four-sided solid carbide insert knives and can plunge to 1/4” and then start surfacing. But it’s also capable of removing very thin layers of material at less than 0.001” per pass. The trend away from wood is also reflected in Leuco’s specially adapted cutter for shops that machine fiber-reinforced plastics. The company (euco.com/leuco) says its p-System shank-type cutter is diamond polycrystalline (DP) tipped and has a shear angle of more than 55 degrees to avoid delamination at the top and bottom edges, plus edge breakouts, burrs and fraying of single fibers or fiber bundles. Even when milling tough aramid fibers in AFRP, good cutting qualities can be achieved without fibers sticking out. Plus, the p-System primarily produces coarse chips rather than fine dust. 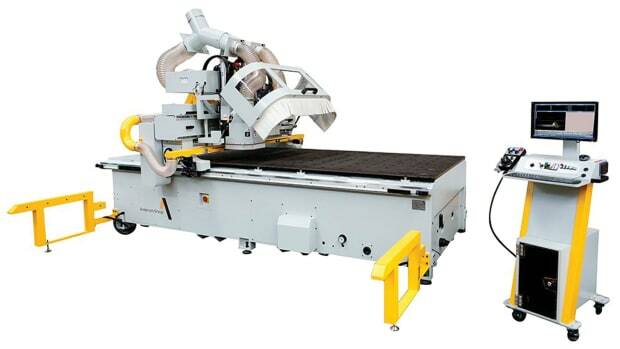 Leuco has also patented its airStream-System in Europe for Holz-Her machines. Bits equipped with this system are easily spotted because of a characteristic bore in the body that reduces noise and prevents double hogging of the chips, which means longer tool edge lives. 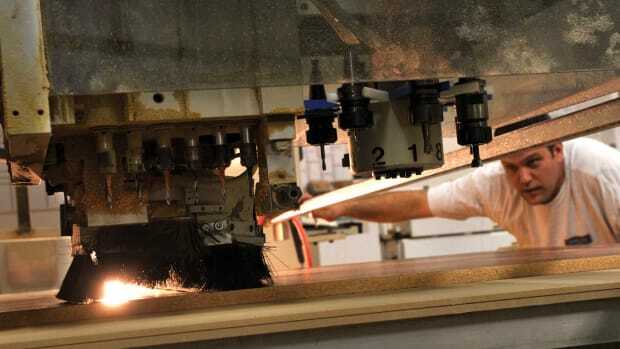 GDP/Guhdo (guhdo.com) has developed a surface planing cutter called the Fourcut that is essentially four inserts on the end of a shaft and is specifically designed for producing Shaker doors in MDF. Eagle America (above) are among the many choices available. Advanced CAD is revolutionizing the way that blades are designed. Take, for example, the futuristic looking Mega flush trim router bits from Infinity (infinitytools.com). Each bit features four individually brazed carbide tips in a compression (up-cut/down-cut) design to eliminate chipping and tear-out at the top and bottom of the material. CAD really shines when engineers use it to model and perfect creative ideas that originated in the woodshop. Take, for example, Rockler’s new Miter Fold Dado Set (rockler.com). In just four passes on the table saw, it turns a flat sheet of plywood into a box with four sides and a top or bottom. The blade cuts a profiled channel through most of the wood, leaving just the face veneer intact. The joint is then folded, hinging on the veneer, which leaves a seamless corner and grain that flows beautifully through the joint. Next generation engineering is also evident in a new device from CMT Orange Tools (cmtutensili.com) that throws dust from a CNC cutter into an extractor hose. Known as a KDE, it can be easily installed and removed as a clamping nut. Recommended for nesting and routing operations, it simply replaces the standard clamping nut. It works on many standard collet chucks and router bits, and is available for some specialty collets. Nap Gladu (napgladu.com) has a similar device called the AirPro Dust Extractor. It also replaces the collet nut and uses turbine blades to pull dust out of the cut. Then an airstream evacuates it into the hood. 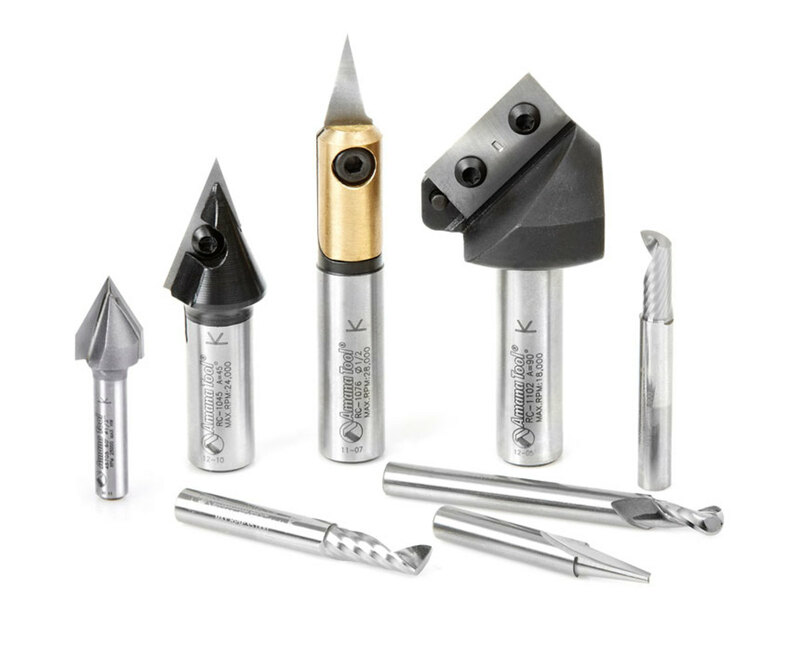 The Austrian company Fisch Tools (fisch-tools.com) has introduced a new Black Shark line of Forstner bits. They incorporate Fisch’s tried and true wavy edge (Wave Cutter) technology that reduces dynamic friction. The shank has three flats, which stops the bits from slipping in the chuck. Freud (freudtools.com) is also working with advanced coatings. 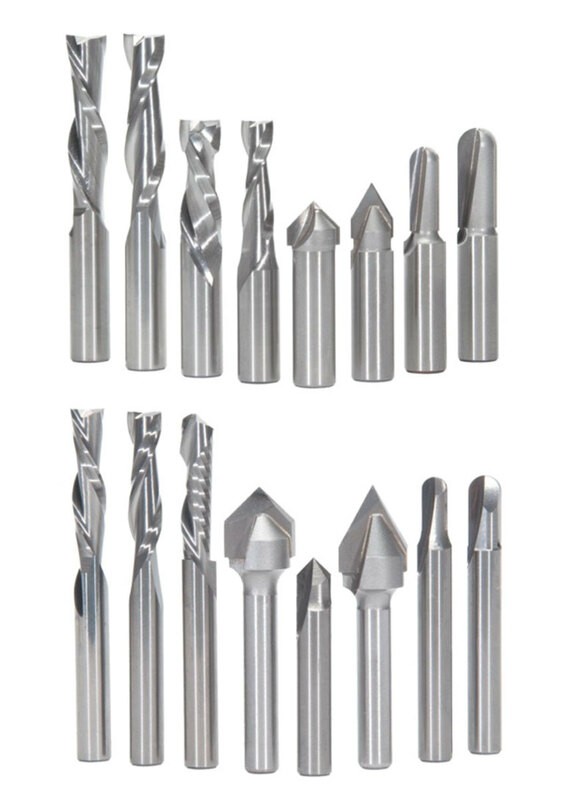 Last year the company added a new series of CNC router bits that are optimized for small-format machines. The only manufacturer that produces its own carbide, Freud specifically designed these new bits with unique cutting geometries and its Perma-Shield non-stick coating. They are intended for creating detailed inlays, decorative projects, or sign making in hardwoods, softwoods, aluminum and plastics. One really helpful trend among bit and blade suppliers is to keep their catalogs updated more often. Electronic publishing makes that possible: instead of waiting for an annual print catalog to arrive in the mail, an online shopping cart can be updated every day if necessary. New Jersey-based Charles G. G. Schmidt & Co. (cggschmidt.com) has recently taken advantage of that. 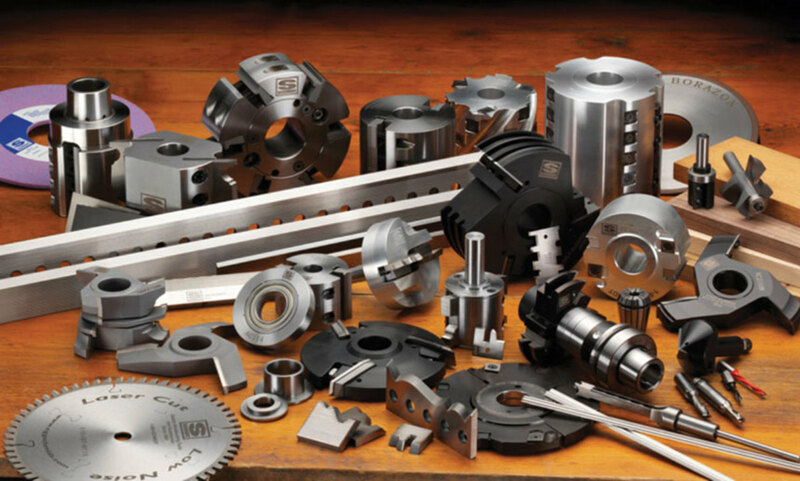 The company has put all of its shaper and molder tools for flooring into a single, easy-to-read resource that now includes brazed cutters, corrugated back knives and heads, dedicated insert-style cutters for long production runs, two- and four-knife corrugated heads, and HSK heads. Carbide Processors (carbideprocessors.com) has also vastly increased its web presence with a full catalog of woodworking tools and supplies. Rangate TV (rangate.com/videos) is a new online resource that includes a range of videos from the tooling company that specializes in window and door manufacturing machinery, including cabinet doors. Rangate’s extensive library is now instantly available in video format. 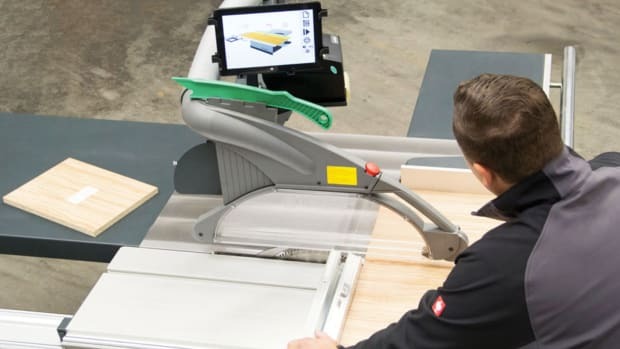 There are short movies on adjustable groovers, glue joint cutters and lock miter joinery, as well as info on the company’s CutterShare program. That’s a way for woodshops to rent tools for a fraction of the cost of owning. Vortex Tool (vortextool.com) has uploaded a PDF version of its latest catalog that is divided into four sections: wood tooling, plastic tooling, insert tooling, and machine tool accessories. And Carter Products has moved its entire news section to Facebook (facebook.com/carterproducts). One of the most interesting online trends is tooling rentals. Companies such as CutterShare (cuttershare.com) charge a small annual fee for membership (currently $35), and then shops can share tools, buy discounted cutters, and participate in The Hub, a knowledge-sharing community. If you don’t like sharing and sharpening takes too long, join the greatest consumer trend in America. Just drop by the Dispoz-A-Blade website (dispozablade.com) where you can check out planer blades and jointer knives “that anyone can change instantly, accurately and economically,” the company says. Charles G. G. Schmidt & Co. has an online resource for flooring tools at www.cggschmidt.com. Sometimes woodworkers need to remove something old before installing something new. Three new oscillating multi-tool kits from Bosch (boschtools.com) are designed to do exactly that. They were built for the company’s GOP55-36B StarlockMax. The no-touch blade-change system makes it easy to attach, remove or reposition blades. Staying with jobsite demolition, Rockwell (rockwelltools.com) has added a new 1-3/8” carbide-tipped oscillating blade (RW8963). Designed to be compatible with most brands of multi-tools (using the included adapter), it makes heavy-duty cuts in hardwoods, metal, tile, screws, rebar, cement-board and similar materials. The blade runs about $20, works well for plunge cuts - and because of the T-shape on the business end, it can be used to flush cut close to existing cabinets, trim and other obstacles. DeWalt (dewalt.com) has introduced a 10-piece set of its Breakaway reciprocating saw blades that are designed for the woodworker who is tired of throwing away half-used blades. With the breakaway feature, an installer can remove the used section of the blade and then insert the unused part back in the saw. The 6” blade breaks into a 4” one, which allows up to 1” wide material to be cut. And the 9” version becomes a 6” blade, which allows material up to 2” to be cut. 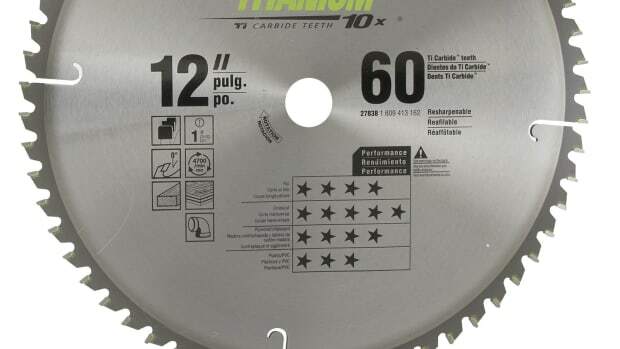 There are a couple of new carbide-tipped reciprocating saw blades from Lenox Tools (lenoxtools.com). Called the Lazer CT and the Demolition CT, they have high performance carbides that are welded to increase durability and prevent tooth loss. The Demolition CT blades are designed for tough, nail-embedded wood applications. There is a definite trend in metallurgy, where more and more compounds are being combined. For example, Grasche USA (grasche.com) has a new grade of corrosion-resistant chrome carbide inserts. Manufactured by Ceratizit Group, the chrome carbide inserts are engineered with a new submicron chrome binder that improves performance and can double the cutting life of the finished tool - at a price point that’s comparable to current conventional grades. 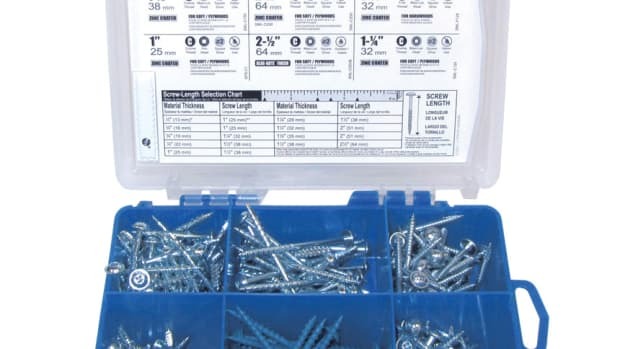 According to the company, cobalt in the inserts is replaced with a corrosion-resistant chrome binder that reduces premature tool wear that’s created by acids present in wood cutting. That makes it very resistant to impact and chipping. Tenryu America (tenryu.com) has expanded its Silencer line of circular saw blades to include a full range of tooth counts with the same features as the popular originals. Those include a unique ATAF shear face grind for faster cuts and longer life; a dampened laser cut plate for less vibration and sound; silencer slots; and a new vibration dampening system that includes resin filled laser cut body slots. The company also offers the Silencer line for sliding compound miter saws, conventional miter saws, and crosscutting on the jobsite with portable saws, and a new line of blades for the Festool TS55 and TS75 track saws. Leitz (leitz.org) won an award at Wood-Tec last winter for its BrillianceCut circular sawblade. Designed for panel sizing of single boards and stacks of boards without scoring, it has special tooth geometry that delivers very smooth surfaces and tear-free edges. 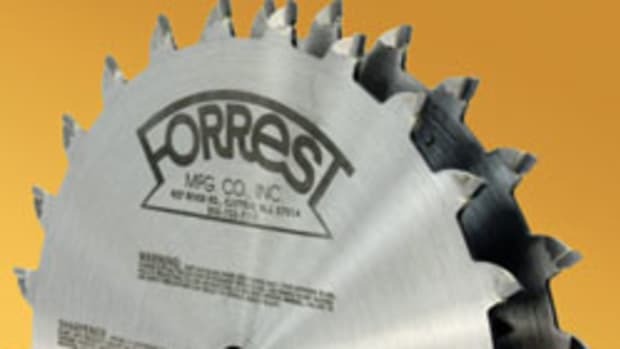 Forrest (forrestblades.com) has a new 10” Chopmaster 90-tooth trim blade that’s designed to produce tight, perfectly cut miter joints and cross cuts with no bottom splinters. And if you’re making lots of miters, have a look at the new rabbeting miter joint shaper cutter set from Eagle America (eagleamerica.com, item 299-9004). Vexor (vexorcwt.com) has a relatively new line of tooling for both shapers and CNCs. These Multi-Pro shaper inserts and backers are interchangeable within several of the company’s tooling lines such as Micro-Pro, Multi-Pro and Multi-Pro-CNC router bits. For more about bit and blade manufacturers and suppliers, visit our online resource guide at www.woodshopnews.com.